Neo apartment is located in hart of Novi Sad. 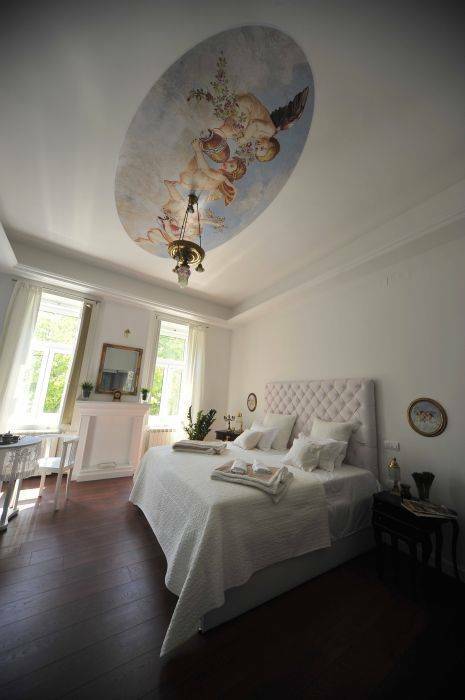 This luxery apartmant provides a beautiful view of the Bishop's palace, Danube street and Petrovaradin's fortress. 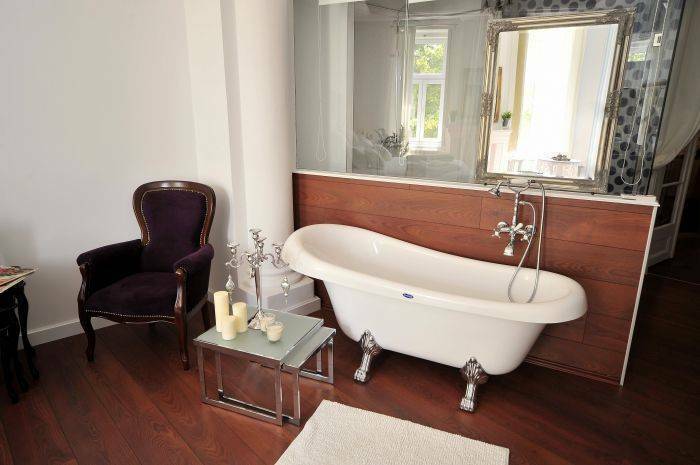 When we talk about luxury and style it can not go any further than this, at least in Novi Sad. 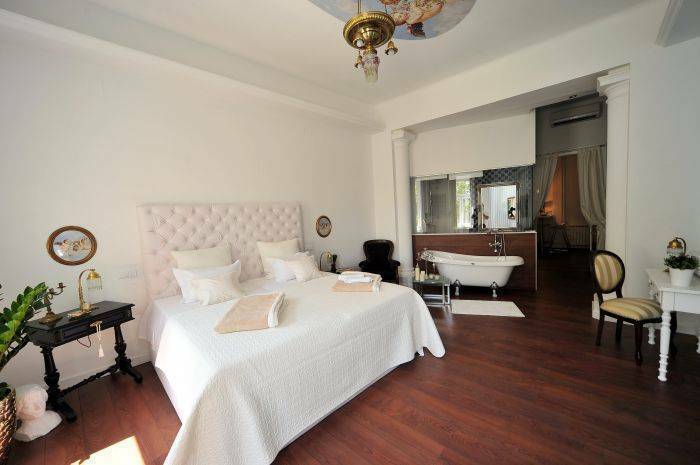 This amazingly stylish apartment is in the heart of Novi Sad, Zmaj Jovina street (the pedestrian zone only). Fortress and Exit are only 10 minutes walk from there! It can accommodate 2 persons ( + 2 on additional bed) and it has many features like sauna, lcd tv, wi-fi, air-con, wardrobe, kitchen( toaster, microwave, ) , terrace on the yard side. Towels, bathrobe, hairdryer, ironing board are also available. The apartment is 70 m² (753 ft² ) so there is enough space for chilling and relaxing. There are many restaurants, bars, clubs, caffes, shops near by. You are in city center after all. The apartment is divided into three compact units, central bedroom overlooking the street, smaller room with extra bed just across the bathroom, and the part where are sauna, kitchen, closet and hallway. Neo apartment has many features like sauna, lcd tv, wi-fi, air-con, wardrobe, kitchen( toaster, microwave, ) , terrace on the yard side. Towels, bathrobe, hairdryer, ironing board are also available. Zmaj Jovina street extends from Liberty Square to the Bishop’s Residence and is the main pedestrian and shopping zone in Novi Sad. The building’s façade is a mix of several styles among which Serbo-Byzantine Romanticism and Secession are dominant. Neo apartment is located in pedestrian zone so you can visit almost averything by walking. Taxi station is one minut away. Bus station is 5 minutes away. Rail station and city bus station are 20 minutes away.